When we were doing our business planning for Ancient Fire we found a lot of occasions where we could see how our work as authors and educators could be intertwined with the business of making & selling beverages and operating our tap room. Building an engaged community around our brand takes many different tactics, and because the world of mead and cider are still largely unknown to most people, engaging fans with learning opportunities and immersive experiences is an exciting way to share the story. We agreed that we needed to focus more on the production and tap room areas initially, and work towards expanding the educational mission of the brand as we felt more confident about the business. There were some obvious “quick hits” that we knew we could integrate early on, like the honey tasting bar, but we also knew there was so much more we could do; much of it needing more time to evolve though. We’ve reached a point where we would like to tackle the next phase of the mission which involves classroom and hands-on activities on making mead & cider, a return to competition judging and more frequent collaboration with other organizations who host educational events. We are excited to host our first class at Ancient Fire! We will be talking about a wide range of topics in mead and will make a batch of session mead as a group! Speaking & Hosting Bootcamps at the 2019 Winemaker Magazine Annual Conference in Michigan in May. I’ll be speaking about Adding Fruit to Mead and hosting two bootcamps on cider and mead-making. Attendance, Speaking & Judging at the 2019 National Homebrewers Conference in Providence, RI in June. We won’t be limiting our activities to just content and topics of interest to home-brewers or home mead-makers, but will also include more on honey, food pairing, cocktails and who knows what else we think will be fun! As we’ve quickly progressed into the summer season here in New Hampshire one of frequent questions in the tap room has been “where are we getting local produce we are using?” The short answer is lots of places, many of whom we’ve sourced from during our homebrew projects before we opened Ancient Fire. We have local favorites as well as new-to-us farms and orchards from around New Hampshire that we are expecting to get great produce from. One of our favorite farms to work with is Sunnycrest Farms in Londonderry. Only short drive from home, we’ve visited the farm stand and the PYO areas at Sunnycrest many times! Over the years we have picked strawberries, raspberries, blueberries and grapes. When apple season comes, we’ve coordinated with a group from our local homebrew club to buy cider in bulk from Sunnycrest. We’ve also brought home peaches, apples, cherries, tomatoes, cucumbers, peppers, squash, honey, maple syrup and of course, cider donuts! The recent releases of Wooderson’s Lemonade were made with strawberries from Sunnycrest. Our love for the strawberries from Sunnycrest goes back to 2004 when we first started bringing large amounts of them home to use in fermentation. The local season coincides with the official onset of Summer (June 21), which is also our wedding anniversary. Margot can definitely entertain with stories about picking berries in the early mornings of some of our first anniversaries. We fermented at least one beverage with strawberries every year from 2004 to 2013, and in some years we were able to taste a vertical (consecutive years) of a strawberry wine that we won a lot of medals with! Earlier this year we sourced fresh dill from Country Dreams Farm, a fellow Derry Homegrown Farm & Artisan Market vendor, and used it in the house-made cheese spread on the food menu. We grow herbs at home as well, but not always dill, which typically gets used to make pickles anyway. Mmmm, fresh pickles. We might need to find some to add to the menu. But summer isn’t over yet, and some of the best produce has yet to start arriving. So what do we have planned? Pears – having gotten pears from another great Londonderry destination in the past, Mack’s Apples, we are hopeful we can source them here in 2018. Wine Grapes – we are working on sources and should have some exciting announcements soon! Cider – we will be sourcing from several farms including Apple Hill Farm, Gould Hill Orchards and Sunnycrest. Peaches – we will be sharing peach meads soon, and some will have been made with 2017 peaches from Lull Farm. Chili Peppers – most of our fans already know we love using chili peppers, and fresh, local, and even homegrown ones are fantastic to use! Plums – it has been a couple years since we used plums in a wine, but that wine went from a sleeper to all gone once all the medals were counted! We like to use golden plums in particular, and sometimes along with delicious white wine grapes. The plums we made the decorated wine with came from Hackleboro Orchards. We’ve also gotten golden plums from Elwood Orchards in the past, also right in town for us. Pumpkin – we’ve already got some pumpkin squirreled away in the freezer, and we have a riff on a cider we made a couple years back in mind for this. Maple Syrup – we have 2018 syrup from Four Saps Sugar Shack on hand already. We’ve also sourced syrup from Ben’s Sugar Shack in the past as well. We also expect to work on some herbed mead recipes as we head into the cooler months, and some of these will feature herbs and hops we grew at home. If that isn’t an exciting list of ingredients to work with we surely don’t know what one would look like! Keep your eyes on our Facebook page for all of our product announcements so you can catch some of this local produce on tap at Ancient Fire. As of Thursday March 15th we are open! Our tap list will fluctuate, and the best way to keep an eye on what is on tap will be our Facebook page. We will be launching with 7 taps for flights and pints, and 3 taps for growlers to go. The food menu will be updated regularly and will also be posted on our Facebook page. We have a number of meal options as well as plenty of snacks to enjoy with a glass of #deliciousAF. We haven’t bottled any product yet, but that is coming soon. We also have shirts, glasses, coasters and stickers for purchase. And hats are on the way. See you at Ancient Fire! Jason teaching a class about cider and cidermaking. The word brand has been on “speed dial” in conversation between the members of the Ancient Fire team as well as the larger team we are working with during our startup. We don’t profess to completely understand all of the aspects of launching and managing a brand right now, but we do expect to learn. When we’ve been talking about the mission behind our brand, we’ve been looking at what the total brand experience will be. We aren’t just a beverage producer, nor are we just alcohol salespeople. We are also evangelists, educators, connectors, pioneers, explorers and at the end of it all, we are people craving connection, engagement and fun. Two of the pillars of our mission are evangelism and education about craft beverage, and most often mead and cider. This is not a new role for us, but just like we are taking our hobby making the beverages pro, our education game is getting a bump too. What will this mean for the Ancient Fire community? 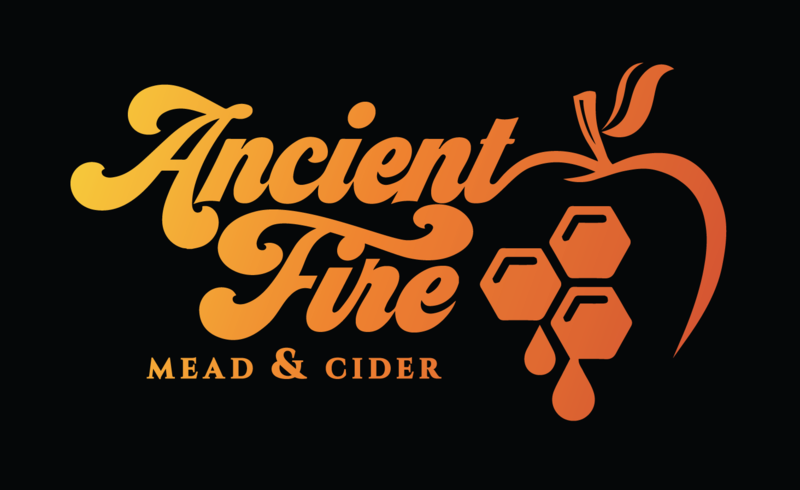 Ancient Fire will be a resource for people curious about mead and cider, and more than just enjoying a glass or two. The Education & Resources section of our web site is the beginning of a Mead-o-Pedia of sorts to help people learn more about the beverages we are champions for. Members of the Ancient Fire team will pen educational articles and blog posts for our own and other periodicals/web sites to publish. Further down we announce the newest article Jason authored about Session Meads just reaching readers now. Sensory Training Thursdays – Once the tasting room gets into full swing Jason will be hosting a short primer on wine/mead/cider tasting every Thursday evening at the tap room. The goal is to help you better identify the beverages you like and arm you with the tools to find craft beverages that fit you everywhere you go. Interactive and Hands-On Classes – Jason recently taught an introductory class on cider and cidermaking. This course, and a companion course on mead, will be hosted at Ancient Fire on a schedule to be determined in 2018. So, you can come and have a tasty beverage with us, but there will be so much more you will be able to experience as part of the Ancient Fire community. We hope our “total brand” will offer exciting opportunities for everyone! If you are interested in helping launch these activities consider supporting our crowd funding campaign The Mead Must Flow. Thank you!